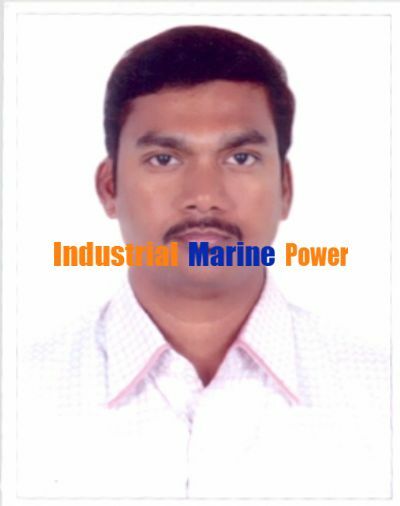 Looking in power systems job in power industry for O&M or service or applications. having more than 15 years experience in power syatmes. worked in MAN, Wartsila, and CAT engines in different profiles. A result oriented professional with over 15 years’ experience in Operations & Maintenance, planning, Engine designing of fossil fuel based Diesel engine and Gas engine Power Plants. Currently associated with Muhammad Abdul Rehman Al-Bahar CAT Dealer as “Installation & Commissioning Engineer” from July’12. Preparation of Customized solutions and offering Commercial and technical offer. Sizing of the DG sets, costing, complying with requirements, clarifying the technical queries, etc as per project requirements. Attending pre-bid technical & commercial meetings. Attending the meeting for finalization of Vendors. Design-Build Management, Project Plans & Documentation, Engineering Cost Estimates, Cross-Functional Team management, Project Tracking, Generating MIS reports and Supervision. Assessment and approval of project design produced by the engineering group ensuring design packages meet project, technical and customer needs. Project Management skills - Influencing, leading, negotiating and delegating abilities. Provide expertise in commissioning preparation, commissioning execution and start up. QA / QC including preparation of Factory Acceptance Test, Site Acceptance Test Documents / Reports. Implement and monitor OH&S, Environment and Quality Management System and ISO documentation. Responsible for the entire planning and execution of maintenance of various equipments in oil & gas and power plant in coordination with the operations and projects department. Condition monitoring and assessment of equipments. Carry out proactive maintenance to avoid breakdowns. Effective planning and allocation of appropriate Technicians to complete the planned jobs in quickest possible time to minimize the impact on production. Assist in providing technical expertise to the maintenance team for trouble shooting, condition monitoring, condition assessment, repairs and overhaul. Supervise the implementation of new maintenance strategies in order to improve up-time and longevity of equipments. Carry out the RCA (Root Cause Analysis) and failure trending to improve the equipment reliability. Technical Coordination with the OEM / Dealer for product support and product improvement programs. Comply with all procedures and check list to ensure all maintenance tasks are completed in line with the Health Safety & Environment. Managing the functions of troubleshooting and predictive / preventive / breakdown maintenance to minimize the downtime. Conducting process audits; reviewing existing processes and re-designing the same for enhancing operational effectiveness to achieve cost savings. Executing cost saving techniques/measures and modifications to achieve substantial reduction in expenditures and to increase operational profit. Undertaking inspection to prevent accidents and adhere to safety norms. Defining specifications of equipment/ materials/ manpower and arranging for the same for timely execution of jobs in the plant. Foreseeing performance bottlenecks & taking corrective measures to avoid them. Focussing on optimisation of process parameters and initiating process improvements to achieve bottom line objectives & productivity targets. Identifying areas of improvement and recommending process & product modifications to enhance operational efficiencies of the systems. Establishing Quality Management Systems across various processes to reduce rejection levels and ensure high quality standards at all the stages of maintenance activities. Ensuring a high-quality customer experience, elevating customer satisfaction, while adhering to the work processes. Setting out quality standards for operational areas and ensuring adherence to quality standards. Maintenance planning according to the scheduled running hours and maintaining the records for the entire plant. Preparing the Spares list for the overhaul and maintain the records with respect to the SAP implementation in Plant Management System (PMS). Recovered Energy Bilge Oil separation System. Applications for petroleum and industrial engines. Installation and commissioning of on-shore, off- shore based oil field engines, EPG Gensets and industrial engines. Major overhauls and top overhauls, trouble shooting and commissioning of 3500, 3600 series Cat Gensets. Servicing of All Caterpillar Gensets based on Oil field. Inspection and measuring the components for the reuse and the replacement of the necessary parts for the overhaul according to the Caterpillar standards. Haven fire suppression systems (CO2, FM200 and Ansul R-102 wet chemical system). IEA variable frequency drive radiators. Operation, maintenance & trouble shooting of 770Kw, 900Kw, 1.9Mw, 2.5 Mw and 3.8MW capacity MAN B&W Make DG sets and Auxiliary equipments In various sites of spinning mills all over the south India. Daily, monthly and routine maintenance carrying out and scheduling for the auxiliary equipments. Operation and maintenance of diesel and gas power plants. Installation & Commissioning of oil field based equipments. Training on control system for TERBERG Germany. Major overhaul Training based on 3400, 3500, series Caterpillar diesel and gas engines. Certified CAT Commissioning Engineer and Sales Professional. Attended training course on Basic Fire fighting conducted by M/s Maritime training institute at Chennai provided by Wartsila India Ltd. Attended training course on Basic Electricals conducted by Wartsila India Ltd at Chennai provided by Wartsila India Ltd.
WECS 3000,WECS 8000 & Unique training for gas engines in Wartsila India Limited. Passport details : No-Z 2350807; Issued at Bangalore; valid up to 2022.